Skull Duggery is a video slot game conceived and manufactured by Microgaming, the leader in online casino software. This is a five-reel game, with nine paylines, and you can make a maximum wager of 45 coins. The game involves a pirate-related theme that is a lot of fun. There is a scatter and a wild in this game. There is also a bonus game that is activated with the "Thief" bonus symbol. Skull Duggery has a scatter symbol - the Scatter Skull symbol. For those not familiar with scatters, they are symbols that do not have to be on an enable payline to count toward a win. The scatter symbol does not substitute for the wild, and vice versa. Speaking of the wild symbol, that is the Skull Duggery symbol, which is also the multiplier, in effect multiplying the value of winning combinations it is a part of, provided it actually acts as a wild symbol. The bonus game in Skull Duggery is called the "Booty Bonus Feature." It is triggered by the bonus symbol, the Thief. Three or more Thief symbols that appear on an enabled payline will activate this bonus game. 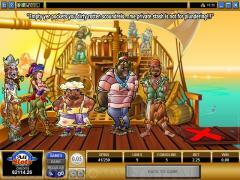 The bonus game also features pirates; in fact, you, as the player, will try to select a pirate that is going to provide the largest bonus amount possible. 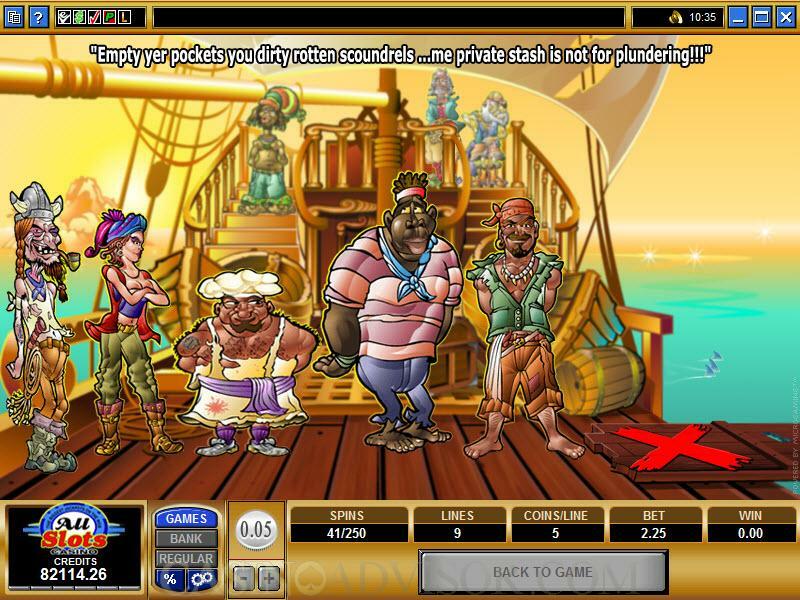 You are, according to theme of the game, picking a pirate to throw overboard, after which the amount of the bonus win is revealed. 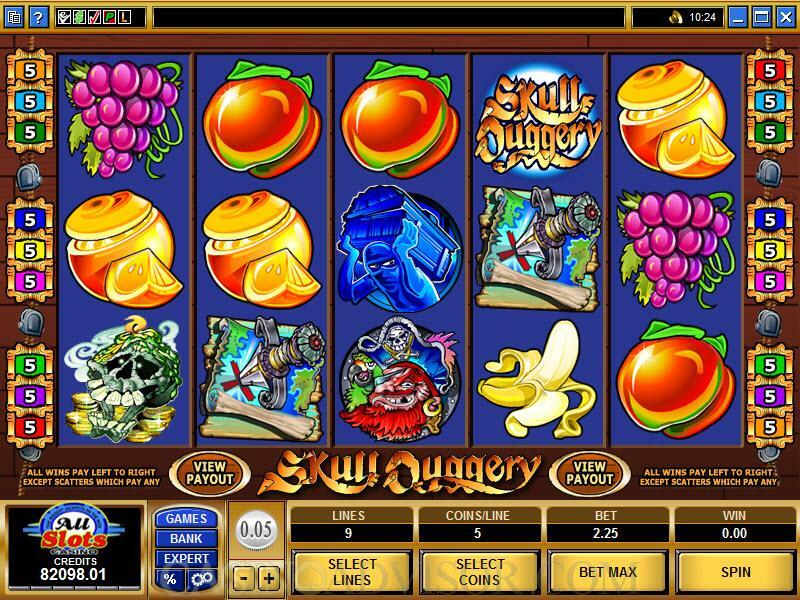 The maximum wager in Skull Duggery is low - only 45 coins, with a maximum of five coins on each enabled payline that you choose. You can click the "Bet Max" button to wager the maximum amount. The coin denominations range from .01 up to 1.00. Interested in reading more detailed information about Skull Duggery? If so Click Here for more details.